Just like on your desktop (or laptop or even in your filing cabinet), Blackboard folders are the best way to organize content and keep similar items together. Fortunately, folders are dead-simple to create and populate. 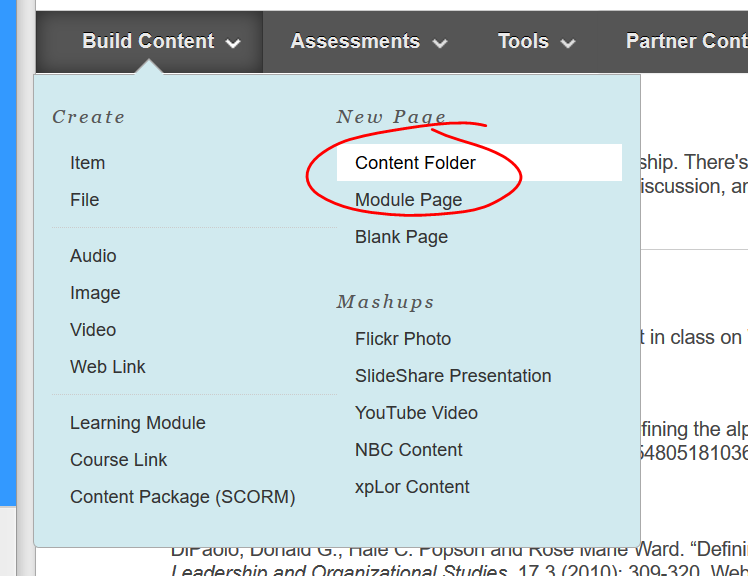 To create a folder, navigate to the part of the course where you want to create your new folder, then point to BUILD and choose CONTENT FOLDER. Enter a name for your folder in the NAME space. 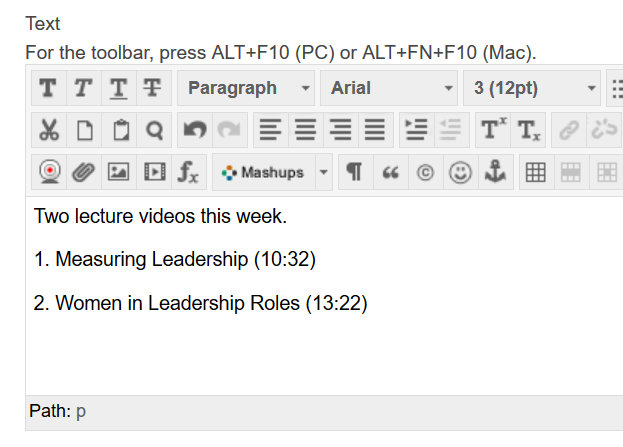 You can also use the color picker to change the color of the link students will click to open the folder. If you’re not sure about how to use the color picker, check out this brief walkthrough. If possible, enter a brief description of what students can expect to find when they open the folder. It doesn’t take long to provide a bit of descriptive information, and even just a couple of lines can go a long way toward helping students find what they’re looking for more quickly. The options for a folder are the same STANDARD OPTIONS you find on nearly every other item in Blackboard. If you need help setting the options, check out this brief overview. When you’ve got your options set, click SUBMIT to create your folder. To add things to your folder, just click the folder name to open it, then start adding as you normally would.